This past Wednesday, the Stevens chapter of Phi Beta Lambda (PBL) offered faculty and students the opportunity to hear John Schwall, Chief Operation Officer of Investors’ Exchange, speak about his experiences in finance world. David Inga, Vice President of PBL, gave a quick introduction and soon gave Schwall the floor. Schwall graduated from Stevens in 1995, receiving a Bachelor’s Degree in Engineering Management and a Masters in Technology Management. He had come from a family of “humble beginnings,” raised in Staten Island family of several-generation firemen. Schwall had a rough beginning at Stevens, but eventually found something more of his “own speed.” By his senior year, he was the President of Gear and Triangle, served on the Honor Board, and was the President of the Kappa Sigma Fraternity. After receiving his masters, Schwall began his first job as a Project Manager at Pershing, a company that specialized in transaction-based financial systems. After three years, he spent two years at Grant Thorton LLP as a supervising consultant before moving onto Bank of America. Bank of America soon purchased Merrill Lynch, a banking company, that helped “take the Equities Division of Bank of America global overnight.” Schwall served as a Director in Direct Market Access Technology and Transaction Cost Analysis, but soon felt that the company was moving in a different direction. At this time, Brad Katsuyama, founder and President of IEX, was taking over the electronic trading division at RBC Capital Markets and wanted John on his team. Working closely with Katsuyama, Schwall found himself in the position to take a risk and start a new business that would represent investors with the goal of making the playing field for trading fairer. Schwall knew he was taking a big risk. “I was 42 with a wife and two young kids. I wasn’t fresh out of college, where working 20 hours a day isn’t abnormal.” Katsuyama and Schwall left RBC and from there, began building IEX from the ground up. IEX is now on the forefront of the financial world, having been recognized by major investor groups. IEX rise to fame can be traced back to the publication of Michael Lewis’ Flashboys, a non-fiction book that focuses on the rise of High-Frequency Trading, which was released in March 2014. The book centers on Katsuyama and his team. Washington, D.C. — The Stevens chapter of Phi Beta Lambda traveled to the nation’s capital this past weekend to attend the National Fall Leadership Conference (NFLC) at the Washington Hilton. The conference is targeted for Future Business Leaders of America (FBLA) and Phi Beta Lambda (PBL) members and advisers who seek professional development and career-planning workshops. Members of Stevens PBL pictured in front of the Capitol building in Washington, D.C. The 18 students who attended NFLC had much to learn and contribute in engaging and interactive workshops. Those in attendance were exposed to opportunities not typically associated with business, such as business lobbying and teaching in lower-income neighborhoods prior to receiving an MBA or law degree. Greg Dardis, President and CEO of Dardis Academy, led a workshop that focused on professional communication skills. Dardis exposed the various methods of controlling nervousness and presenting with confidence, techniques that all Stevens students try to master regardless of their majors. In addition to workshops, Stevens PBL also had the chance to meet with other New Jersey PBL members from Rutgers University and Rider University. Together, the three universities brought a strong New Jersey presence to this year’s NFLC. Stevens PBL wishes to establish a good relationship with the other local chapters of New Jersey PBL as the state and national conferences approach. PBL members Billy McFarland, Damiano Spinoso, and Vincent Marzano representing Stevens at the National Fall Leadership Conference. Quantitative Finance major and current Stevens PBL President Elena Piper played a significant role in bringing the Stevens chapter to the NFLC this year. After months of careful planning, Elena and the PBL executive board brought a team of 18 students to Washington. Those in attendance ranged from freshmen to seniors and from engineers to finance majors, which proves how pertinent business education is to the current job market. Attending these conferences will not only contribute to the success of Stevens PBL in the future, but also encourage students back at Stevens to both join PBL and seek to better themselves in business-related concepts. FBLA-PBL is a non-profit 501(c)(3) education association with a quarter million students preparing for careers in business and business-related fields. Phi Beta Lambda is one of the four major divisions dedicated primarily for postsecondary students. The organization’s goal is to develop competent, aggressive business leadership while strengthening the confidence of students in themselves and their work. This past summer I did what Stevens taught me over the past 2 years: I took chances. I learned from mistakes. I made friends wherever I went. And I did it all through the Semester at Sea, a program that pushed me out of my comfort zone. Soon after taking my finals last May, I was waving to other students’ parents as I embarked on the MV Explorer with a departure from Southampton, England. The boat was headed to numerous destinations: Morocco, Turkey, Greece, Malta, Italy, France, Spain, Gibraltar, and Portugal. Nine countries, 13 port cities, one territory, and 24 class days in a total of 66 days: a dynamic program that continued to shape the Stevens Duck that I am. One of the many questions I am asked when I explain the Semester at Sea program is, “What was your favorite country?” I must say, that is an extremely difficult question. I loved and embraced all the countries and all that they had to offer. I observed daily activity around the Hassan Mosque II and rode a camel in the countryside of Morocco; rock climbed and hiked though a national park in Turkey; walked through the 2004 Olympic Stadiums, ate a scrumptious combination of olives, tomatoes and feta, which is absolutely out of this world, in Greece; learned about Malta’s history in 110°F heat and relaxed in a kayak with fellow colleagues in Malta; enjoyed a wine tasting while observing Michelangelo’s David in Italy; met with distant relatives in France; explored and came to appreciate Gaudi’s artistic touch; in Spain I wrote research papers in cafés and watched a bull fight, explored the caves of Gibraltar on my 21st birthday and went to an ancient re-enactment of the Lipizzan Show outside of Lisbon in Portugal. Now, you understand why it’s so difficult to choose! What I can tell that I enjoyed most about the trip was learning to explore what you are afraid of, talk to those you do not know, and to visit places off the beaten path. 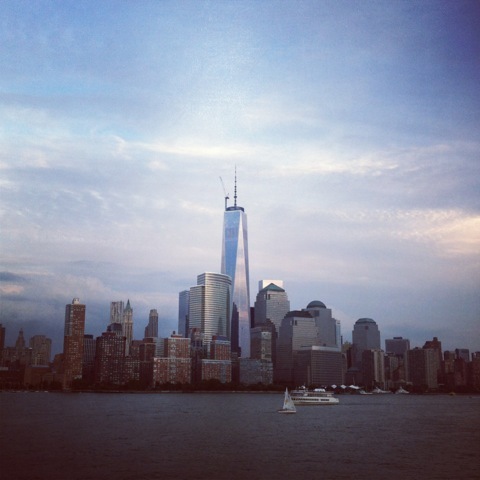 This summer, I traveled from Greece to participate in a summer program at Stevens Institute of Technology. It was one of the most exciting experiences I have ever had. It made me understand university life and the many opportunities that a University like Stevens provides. I selected the Stevens business program because I thought that it would offer me the chance to understand what business is about by becoming a University student for one week. The program in which I participated lasted one week. We had two, three-hour classes every day. Each class was based on a different area in business such as marketing, finance and entrepreneurship. I found the group collaboration of the classes, which is characteristic in today’s corporate world, an exceptionally stimulating experience. Personally, I believe that the specific characteristic about the program gave me and my classmates an idea of what business is about. Group projects about business concepts that were depicted in different films were another extraordinary activity. These projects had to be presented by the end of the week. My team’s assignment was on the film “Wall Street: Money Never Sleeps.” In our presentation, we analyzed the 2008 global economic crisis upon which the movie was based. Two activities that I also enjoyed during my stay were the Federal Reserve Bank trip and the cruise night. The trip to the Federal Reserve Bank was a unique experience because someone does not usually have the chance to make such a visit. We were given a personal tour of the bank and we learned about its history. 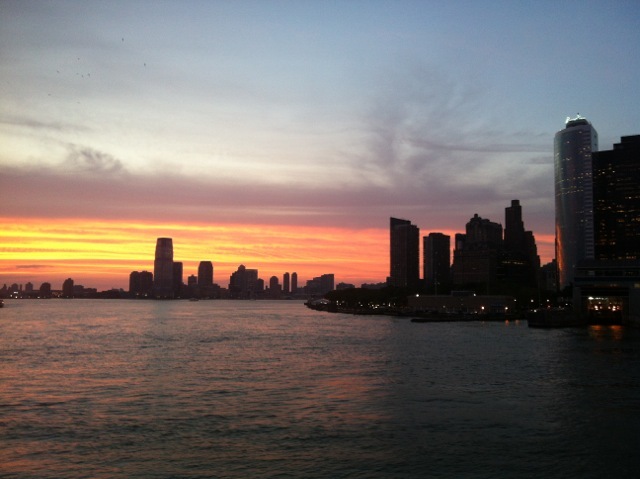 Moreover, we had a cruise night around Manhattan. It was wonderful! Stevens offered me a lot of things by giving me the chance to participate in the business program. I would describe it as a combination of education with a mix of fun. I would definitely recommend it to all high school students who wonder whether to attend or not. As a business major with concentrations in finance and information technology, I have taken courses in a plethora of different areas throughout my three years in the Howe school. But one class in particular, Social Networking taught by Professor Jeffery Nickerson, allowed me to speak on a panel discussion recently about Social Media & Networks. Following the overhanging idea of social media and its role in social networks, the two outlets have truly have played an integral role in my success here at Stevens. I would like to begin with my experience with the career center as discussed heavily in the panel. I used Castle Point Careers – a school run portal that allows students to apply to various internships that the career center finds, posts openings for, and arranges on campus interviews for as well – to find all of my potential internship opportunities. My job search spanned from late September to early January, and over this duration of time, I applied for about thirty different internship opportunities, ranging from Goldman Sachs to The Federal Reserve. The sheer volume of postings available for students of all majors is incredible. Even within majors, students have such a broad range of jobs to apply for that could fit any interest level. I applied for jobs in investment banking and information technology, two totally different fields. Every week new job openings are added, especially around “job hunting season” which typically begins around early fall and goes into the New Year. Once my applications and resumes were sent in, I began hearing back from various corporations for interviews, many of which turned into second round interviews and subsequently a summer internship offer. I ultimately chose to accept a job with UBS in investment banking in their Wealth Management division for the summer of 2013. While I did accept an offer with a single company the process allowed me to network with an extensive number of professionals and build up my contact base. I learned how to communicate with professionals from many walks of life, as well as a lot about different companies and industries within business that I could potentially work in at some point in the future. Social networking has been crucial to the creation of my now strong sphere of both colleagues and professionals that I can go to if I need help or advice about anything, job related or personal. Stevens takes the initiative to help all students find internships and co-ops and ultimately graduate with a full time job, because when we are taking our final walk as students, about to accept our diplomas, that is what we all come to school for. Their diligence and wide range of connections makes it simple to find employers that want to interview students who are getting a Stevens education – one that is “up to date” with the types of courses offered, as well as so heavily focused on technology and innovation. This technology connection in every major makes students more appealing to companies because their operations feed off these underlying systems we are expected to learn about and having dealt with any form of technology makes Stevens students better able to absorb new information upon entrance into the work force. In addition to the career center, myself and my colleagues discussed the opportunities students have to create their own class structure, and how creating networks with friends and using social media makes the learning process easier. I think that something a lot of students are worried about coming into the school is the presence of the computer science, coding and math in the overall curriculum of every major. My experience has been that the amount of time you as a student would spend in these areas is truly up to you. The curriculum is what you make of it and we have a lot of room within our majors to choose the path that we want to take. Myself, I knew that I wanted to focus more on the business side of the Business & Technology program as opposed to technology, and I pursued that, ultimately and attaining a job in the field that I wanted. Though I did take fundamental required computer science courses and information technology courses over the past three years, I did not make them my ultimate focus. With any courses that I was having trouble with, I often times found myself looking to my classmates over various forms of social media for study tips and to coordinate group meetings. When coming to a school where technology is such a heavily integrated asset, one must be prepared to keep up with the ever-increasing opportunities thrown at us on a daily basis. As an accepted student, you should keep your eyes open for campus emails about on and off campus events, job postings and be sure to stop by the career center to check out the wealth of opportunities you have available, and start early! It makes the process that much easier when the application process begins. I wish you all luck here at Stevens and check back in for further updates! As a sophomore studying Quantitative Finance at the Howe School I’ve been able to participate in some unique hands-on experience. But just recently I got to enjoy one of the most opportunities, probably in my lifetime, as the team leader with fellow classmates in a global trading competition. Students from around the world have the chance to compete in a challenging and prestigious CME Group Commodity Trading Challenge each spring. In the competition undergraduate and graduate students try to create the highest yield on crude oil, gold and corn futures in a simulated trading environment on a real-time professional trading platform provided by CQG. The four-week electronic trading competition awards cash prizes and unique CME experiences to the winners. This year the Howe School, advised by Professor Eleni Gousgounis, was among 320 teams representing 179 schools from 26 countries to compete. I, along with Ilya Bezdetko, Chase Greenberg, Taylor Jeziorski and Viralsinh Solanki represented the Howe School. In the challenge teams receive $100,000 in virtual money to make their trades for round one. Teams that perform well can move into the final round in which they get another $250,000. We placed 9th in the first round and 25th overall. We traded crude oil and gold only because we didn’t think corn futures were volatile enough. We were very happy with our preliminary position and made 40% in two weeks. If you blow that up to an annual return its 2,000%. But we were very disappointed in the second round. Toward the end we were in sixth place and we were up to $275,000 but due to a trading glitch we lost about $100,000 and couldn’t recover. 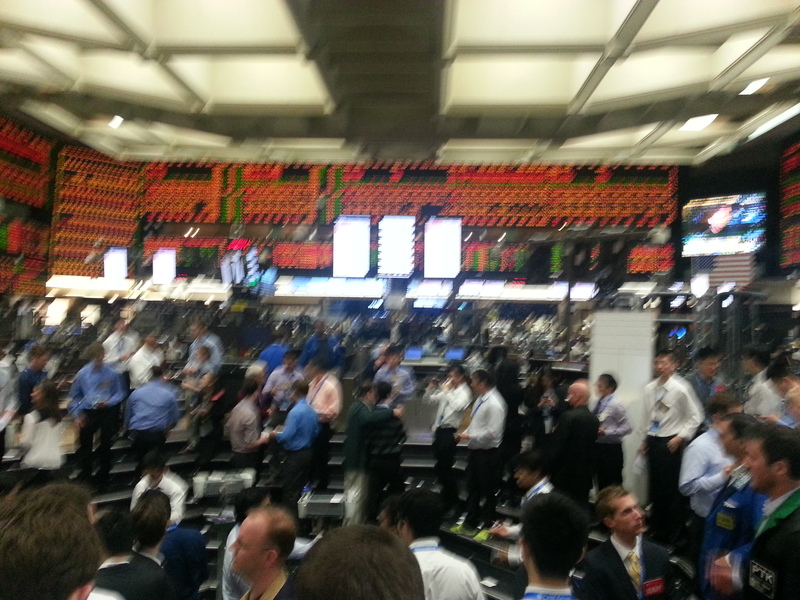 Having the chance to go to the CME was a once in a lifetime opportunity. The Day of Market Education was filled with information I had not known before. My favorite part of the day was the open outcry simulation. It was interesting to see in person; traders using traditional techniques to trade which I have not seen before. When I had the chance to do that myself in one of the real pits, I was overwhelmed with excitement. We were also lucky enough to be there on the day when gold dropped a tremendous $70. It was fascinating to see people trying to figure out why gold had made that kind of a move. My visit to the CME Group in Chicago was a fulfilling and memorable experience. The day began with a breakfast at the CME Group headquarters. We were fortunate enough to have CME Group CEO Phupinder Gill come and speak to us. After breakfast, we met with various CME Group employees who gave us presentations about the company and its role in the financial industry and the world. In addition, we toured the Global Command Center which was a great experience. One of the highlights of the day for me was when Rick Santelli from CNBC spoke to us during our lunch. It was awesome to listen to him speak passionately about the trading challenge and the current state of the economy. After the bell rang and trading closed, we had the opportunity to tour the floors of the CBOT. In fact, we were lucky enough to participate in an open outcry trading simulation. This was a fun yet challenging experience. It was a great opportunity to get an idea of what the day of floor trader is like. The day ended with a dinner reception at the Willis Tower. I enjoyed every moment of the day. It was a great learning experience. I strongly recommend that every student take advantage of this opportunity if it ever arises. It certainly is a once in a lifetime experience. 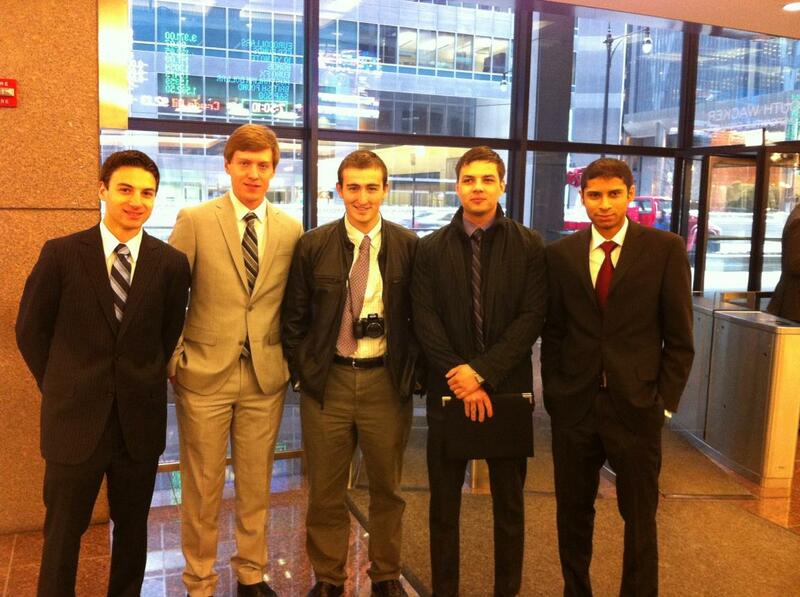 The trip to the Chicago Mercantile Exchange was an amazing experience for me and my fellow group members. Arriving the day before, allowed us to explore all that Chicago had to offer, including the scrumptious deep dish pizza and Navy Pier. Friday, we had the opportunity to take part in the CME’s Market Day of Education, due to our high ranking in their trading challenge. We had the chance tour the CME Global Headquarters, listen to the CEO of the CME group, Phupinder Gill, learn about the future of CME as a whole, and explore the Global Command Center. Exploring the Global Command Center proved particularly exciting for myself and the group, seeing that gold and Bitcoin were actively crashing. It was very intriguing to see how quickly things can change in the market and how much stress and scrutiny traders face when a client is pushing to sell shares quickly. For the remaining part of the day, we visited the Chicago Board of Trade to meet with CNBC correspondent Rick Santelli and partake in an Outcry Trading Simulation. Mr. Santelli provoked an intriguing conversation on the economy and his views on life. The presentation by Mr. Santelli far exceeded my expectations and made the visit to Chicago extremely inspiring. The Open Outcry simulation posed some trouble for us novice traders. The pits are daunting and confusing at times and having the chance to watch the professionals make their trades was a humbling experience. I did not realize the amount of work that goes into a pit trader’s job, from using the hand signals to facial expressions. Overall, traveling to the CME Group was an incredible experience, from being down in the pits, to seeing one of my idols speak, or to yelling out orders in the simulation. I am very appreciative for the trip that Stevens Institute of Technology made possible for me and my teammates. 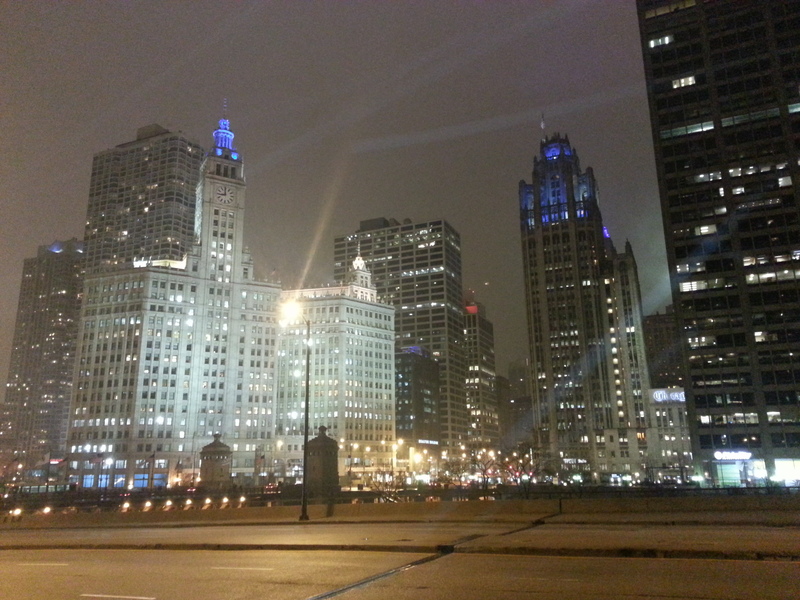 The Howe School team arrives in Chicago. Caught in the frenzy of the trading pit. 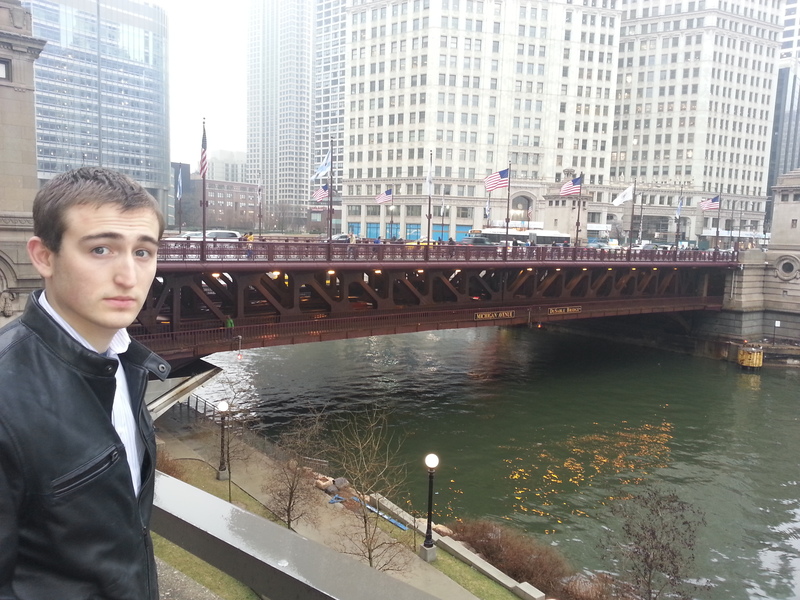 Exploring the city of Chicago. Management at Stevens Institute of Technology. All I can say is that it turned out to be one of the best decisions I’ve ever made. My experience has been fun, challenging and rewarding. I am currently majoring in Business & Technology with a concentration in marketing. I was fortunate enough to hold two summer internships in the New York City area because of the superb career resource center here at Stevens. 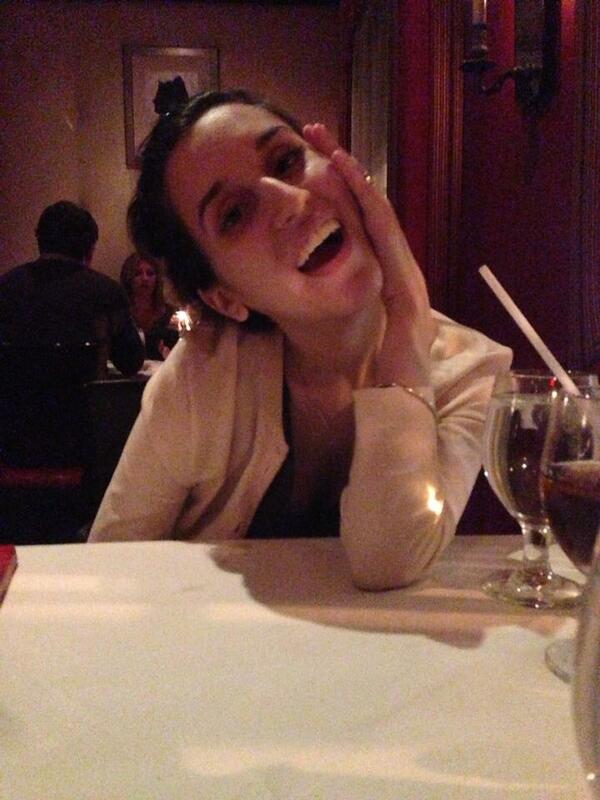 My most recent internship with UBS this past summer led to a full-time job offer in early September. Not having to worry about searching for job after graduation was a load off my back. Now, with just one semester left, I am busy with a project that is required for all seniors: the Business Consulting Project, which provides us with consulting experience in a field that we choose. I chose to market an app called ResuceMe Message, a Morse Code-based program that helps locate victims in earthquake disasters. Overall, the environment at Stevens has definitely been a challenging one. But I learned early in my college career to balance my academics with my social life because I recognized that the ability to balance both would benefit me in the future. During my time here I’ve made a ton of lifelong friends through numerous on-campus activities such as sports and Greek life. This past fall I was Captain of the nationally-ranked Women’s Soccer team and President of our business leadership club, Phi Beta Lambda. And Hoboken, a great college town that’s both urban and small town at the same time, has provided endless community service programs off-campus.Through it all I realize Stevens turned out to be a perfect fit for me. As my first week of classes of my junior year start, it is incredible to think back on the experiences and opportunities I have had since enrolling in the Quantitative Finance program at Stevens. After just two years, the QF program has provided me with an unprecedented exposure to the broad field of finance from many different angles. Through many interesting and challenging classes, I have managed to learn four different computer programming languages, study four different types of math, and gain the fundamental business knowledge crucial to any aspiring business and financial leader. Ready to put all my skills to work in the ‘real world,’ I began my search for a summer internship during the spring semester of my sophomore year. With the help of the Office of Career Development and my professors, I received the opportunity to interview with G.X. Clarke & Company, a government securities dealer in Jersey City. The interview took place at the Office of Career Development in Howe. To my surprise, I found out that I would be interviewing with Mr. Griffith Clarke himself, along with another partner of the firm. I couldn’t believe that my first interview was with the founder of G.X. Clarke! I was invited to the office for a second round of interviews and was eventually asked to be a part of the 2012 summer internship program. G.X. Clarke & Company is a small, but influential firm in the government securities market. The firm only recruits students straight from college and focuses on growing the company from within through continuing education and learning. I spent the first week of my internship on the Treasuries desk with a partner of the firm, where I was able to refresh my bond math skills, learn about how Treasuries move with the market, watch a Treasury auction unfold, and take a position in the market. Luckily, after possibly some of the most stressful hours of my life, my position turned out to be successful! That week I also attended a Money Marketeers dinner where Charles Evans, the Federal Reserve Bank of Chicago President, was the guest speaker. Next, I headed to my desk for the rest of the eleven weeks in the Operations department, where I worked as a Credit and Compliance Analyst. With the help and training of my mentor, I worked on projects such as analyzing companies’ financials, management structure, and services in order to create credit reports for prospective customers, developing a company compliance manual for employees to use in order to learn about new FINRA regulations, and conducting the company’s annual customer review process. I also learned how to complete the firm’s daily accounting work to ensure that the company’s totals matched those of the clearing bank each morning. Throughout the summer, in addition to the tasks and projects in my department, I also participated in various classes with the other interns and new full time hires. These classes were taught by G.X. Clarke employees and were geared towards helping us study for the FINRA Series 72 exam. Passing the Series 72 exam is necessary to work with government securities and studying for the exam taught me things that I could apply to both my work and classes back at school (not to mention that I can tell people that I was licensed before I even started my junior year of college!). Also, once a week after work, the whole company would participate in the Summer Seminar Series, a series of lectures held in the office taught by professors from NYU Stern. The lectures were on different topics each week, all of which were extremely interesting, informative, and applicable to G.X. Clarke and its goals. Thinking back to the first interview I had with G.X. Clarke, it doesn’t seem too unusual that the founder of the company was present. This just emphasizes that every employee at G.X. Clarke was committed to helping the interns have the best internship program possible. The investment they made into the program allowed me to have a truly amazing experience. I learned so much and met many smart and caring people. I really felt as though G.X. Clarke & Company welcomed me into their family and motivated me to learn and grow as much as I possibly could in just 12 short weeks. I was given the opportunity to experience so many different aspects of the business and to figure out where my interests lie in the complex financial industry. Looking back on all that I accomplished this summer, I never could have imagined that I would have had such a comprehensive and rewarding internship experience. 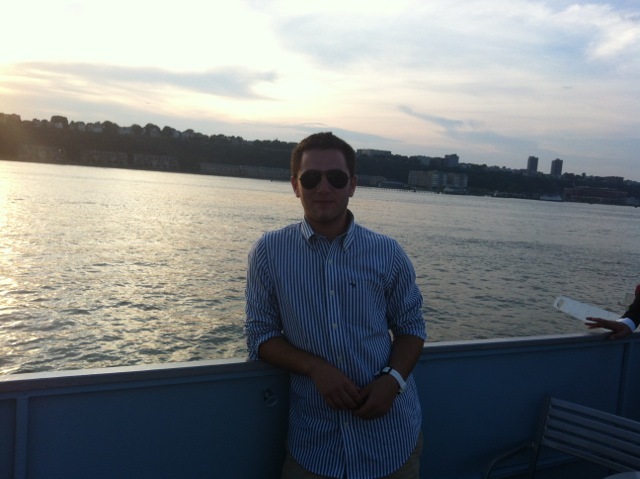 My name is Brandon Griffin and I am a sophomore in the business and technology program here at Stevens Institute. Over the summer I was a counselor for the E.C.O.E.S. program (Exploring Career Options in Engineering and Science). This is an academic summer camp for students who are rising juniors and seniors. The students go through various classes and labs to get a better understanding of the different majors we offer and to help them determine which major is right for them. We offer sessions in engineering, multimedia, computer science, and business. For the business sessions the students attended several modules that dealt with topics such as international business, information systems, accounting, quantitative finance, and social media. In addition to attending these modules, the students were required to do a group power point presentation about what they had learned in class. They had to relate this information to one of the business movies they saw throughout the week. The students also went on a site visit during their stay. This year there were two site visits; one to the New York Stock Exchange and the other to the Federal Reserve. While at the stock exchange, students toured the trading floor with James M. Smith. He is the Vice President of Morgan Stanley. He gave them a tour of the building and some brief background information about himself and the stock exchange. On the Federal Reserve site visit, the Vice President of the Federal Reserve sat down with the students to discuss what his job entails, and what the they do at the Federal Reserve. The students were then taken on a tour of the gold vaults and they were able to hold a bar of gold valued at six hundred and ten thousand dollars! Overall, the students loved both trips, and were able to learn a lot in the process. The week was also packed with extra fun for the students such as a Stevens’ scavenger hunt, dodgeball tournament, dinner dance cruise around Manhattan, and a trip into New York City to walk the Brooklyn Bridge and South Street Seaport. The session ended with an awards ceremony to honor the student’s hard work. Overall, the students enjoyed the sessions and the program was a complete success. I really enjoyed being a part of this successful program and met a lot of prospective Stevens students. A special “thank you” to Brandon for sharing his experience at ECOES this summer! As I enter the final weeks of my sixth semester at Stevens, I’ve been thinking about the past several years, and how important they’ve been – academically, professionally, and personally. Since 2008, I’ve been working on a list of extracurricular activities that require a lot of attention outside of the classroom. 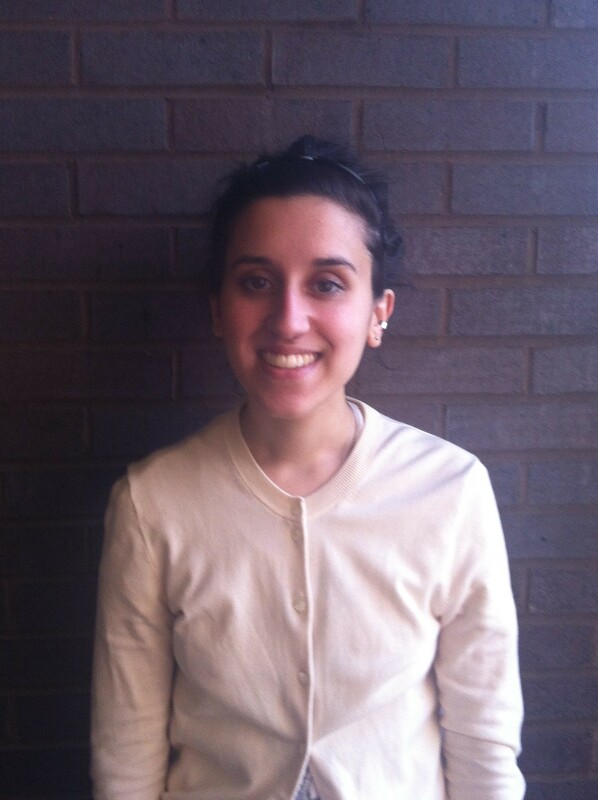 School has always been an important part of my life, and, through my experiences at Stevens, it has helped me focus on these interests that are far removed from my studies. I fell in love with music at an early age. It has always been my strongest passion. I began playing drums when I was 14 years old, and quickly developed an interest in the collaborative process of creating and performing. From the personal expression, to the then-fantastical concept of touring, I was infatuated with everything that the music world had to offer. relationships with classmates, in such a dramatic way. Still, I knew it was the right thing for me to do. However, I did not want to drop out of school entirely. It was just getting exciting, I was meeting new people, and I was enjoying my classes – I didn’t want to just stop because I had this opportunity. I asked my professors and deans if there were ways to make my touring schedule coexist with my academic obligations. Instead of giving me binary “either attend class and receive credit, or don’t” options, they wanted to work with me, to find ways of doing both. At that moment, I knew that Stevens was a unique place – a school that truly understood my passion for music, and dedication to my studies. They expressed genuine interest in allowing me to make the most of this period of my life. 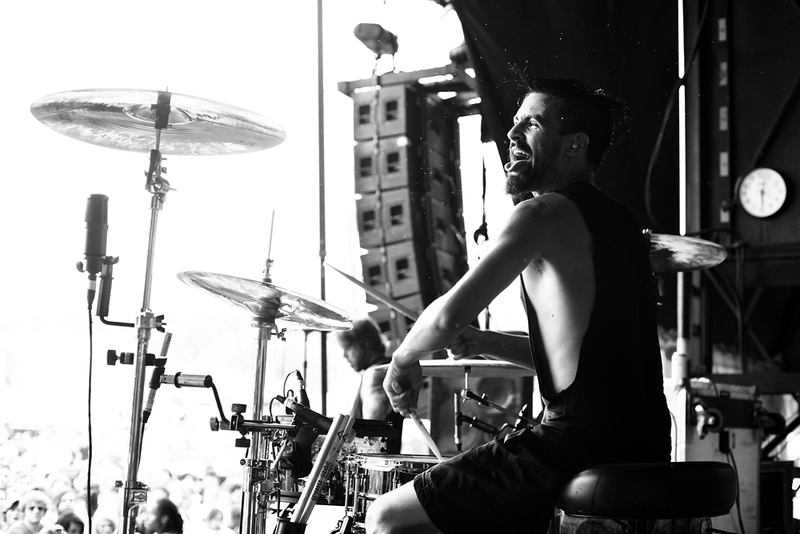 It probably didn’t hurt that I was touring with a band that was bigger than something I had started in my garage. Ever since, I’ve spent the majority of my time away from campus, playing music. Whether it was with one group or another, I’ve kept a steady schedule of almost constant touring, for the past four years. With the exception of one semester during which I took a break (since I knew I’d be touring overseas for a few months), I’ve been writing essays, submitting homework, reading Wall Street Journals (hopefully Dr. Calhoun is reading this), and taking exams from a van or bus on the road. I tell people about my experiences at Stevens quite often. In the groups with which I typically travel, it’s uncommon to find people that are in the same boat – taking classes, and playing in full-time bands. You come across it once in a while, but, on a whole, it’s unusual. I’ve always enjoyed the juxtaposition of a supposed “normal” school life against an “abnormal” touring life. I enjoy learning lessons in classrooms, but I also love receiving the education that one can only get by traveling with bands. How else would I know where my favorite coffee shop in Trier, Germany is? Or that eggs in Australia are called “bum nuts?” Or that Rancid is really good at wiffle ball? OK, there are far better examples of things that I’ve learned on the road, but as I’ve heard from Henry Rollins, “books are cool, but knowledge without mileage doesn’t mean anything.” To me, it’s so important to combine what I’ve learned in school with what I learn on tour. I believe that the best things one can walk away from school with aren’t specific lectures, or how to balance chemistry equations, but the thought processes he or she collects during that period of time. Stevens’ professors teach these to their students, in spades. That’s one of my favorite things about this school. They don’t preach lectures and build walls between themselves and their pupils, but rather encourage undergraduates to think outside the box, and to approach solving problems in unconventional ways. These thought processes train students to find solutions that aren’t right under their noses. With faculty members who are completely open to conversation, Stevens has created an environment that thrives off of collaboration. How can that not positively affect one’s post-college work life? I’ve found that, no matter where you want to end up, Stevens will help you find the tools to create the life that you want. We can all be winners, guys! Balancing my schoolwork with my interests in the arts has not come easy. But, with the help of the Stevens community, my professors, and especially Dean of Undergraduate Studies, Ann Murphy, I’ve been able to seamlessly integrate everything I’ve ever wanted to do into one project. And, my case is just one of many. I’m confident that Stevens is the only institution that could dedicate so much to help one student pursue his or her dreams. No one gets lost in the shuffle, and it’s truly inspiring. 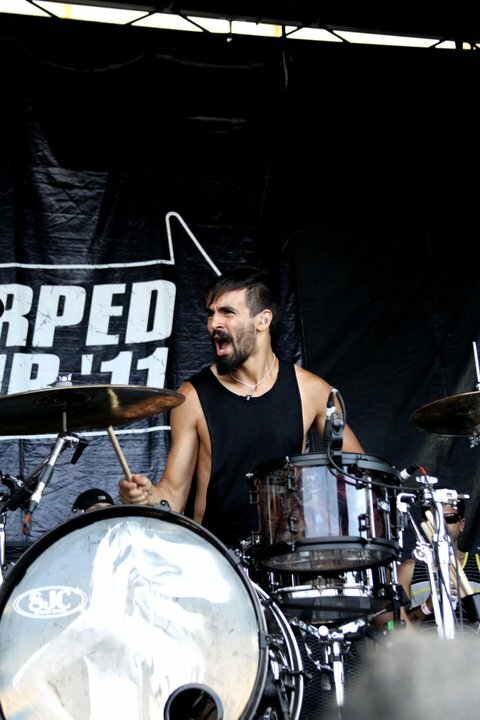 Jay Weinberg is a Stevens Undergraduate student, a visual artist, and currently plays drums in rock band Against Me! The Business and Technology program at Stevens focuses on developing bold, transformational, globally-minded leaders who are equally comfortable in the world of business and the realm of technology. In today’s competitive marketplace, with an ever-evolving economic landscape, it is essential to equip future business leaders with the tools neces-sary to succeed. Professionals are expected to understand the business process and be able to contribute to the constant transformation of the industry. Organizations are looking for innovative and forward-thinking individuals who have a proven foundation in the business fundamentals of today and can anticipate those of tomorrow.